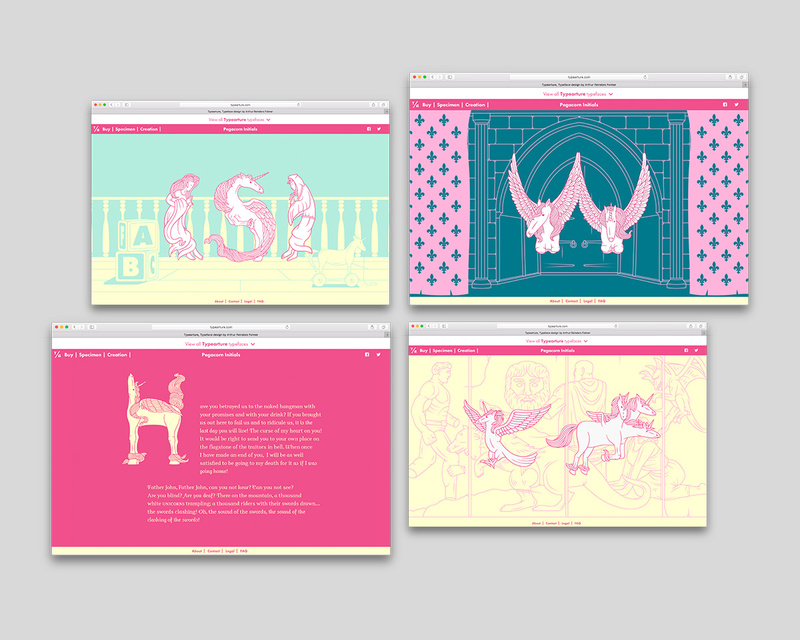 Typearture is a different type of foundry, founded by Arthur. Typearture creates typefaces that merge concepts, culture, experiment and most importantly: a bit of humor through type design. In a world with so many geometric sans serif typefaces, there is surely room for adventure and fun! 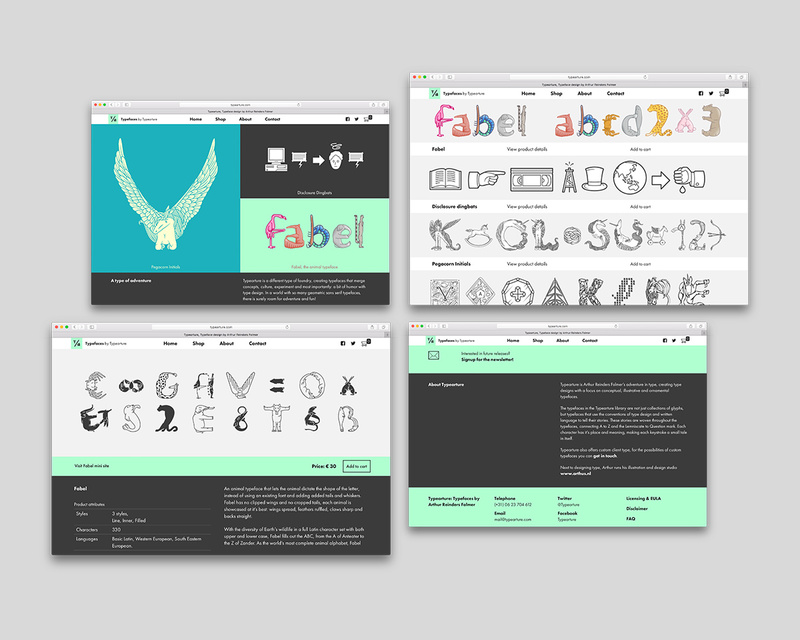 With three starting fonts, Fabel, the animal typeface, Pegacorn Initials and the Disclosure Dingbats there is plenty to explore, and there is much, much more to come. 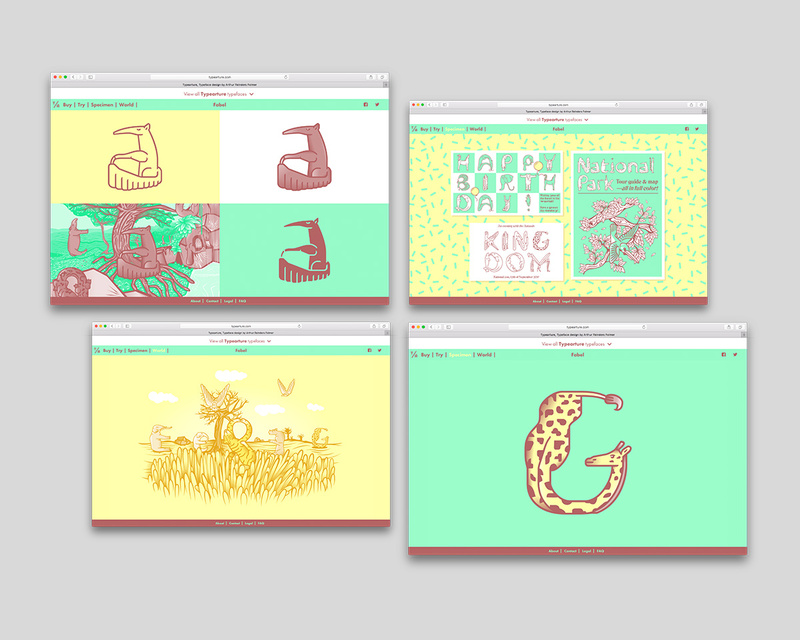 With over 300 characters, Fabel is the most complete animal alphabet yet! Fabel fills out the A-Z, from Anteater to Zander, from Glyptodon to Dodo. The Pegacorn Initials are a set of highly detailed Initials, shaped as pegacorns: Mythical beasts combinations of unicorn and Pegasus.